Hotel Downtown Glasgow: Who Should Stay at Rundle Suites? Our beautiful hotel in downtown Glasgow offers more than just a bed (albeit an extremely comfortable one) to catch some z’s and a shower to wash off before moving on. We consider ourselves a temporary home for each and every one of our guests. From tenants intending on an extended stay to those looking for a last-minute hotel, we’re proud to exceed every visitor’s expectations. Newly remodeled and smack dab in the middle of downtown Glasgow, Rundle Suites has something for anyone and everyone who stays in our luxury hotel. Yet, we can’t take all of the credit. Glasgow, itself, is a hidden gem that many find themselves not wanting to leave (don’t worry, you can stay with us as long as you like!). If you find yourself questioning whether or not to visit us and our beautiful town, first read this post. If you find us describing you in the list below, then book a room online now! 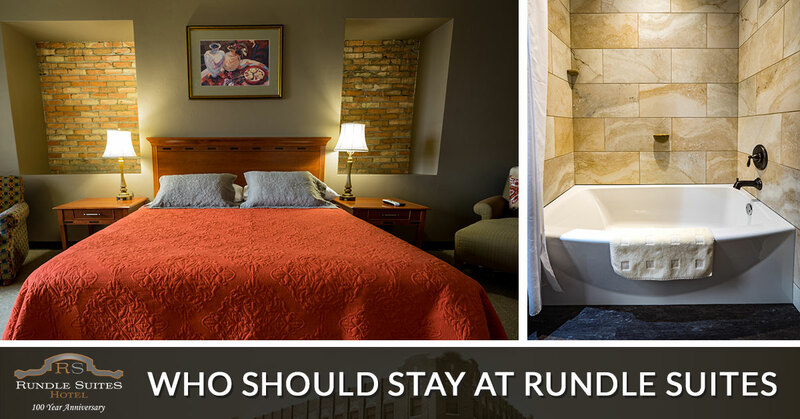 Here are a few examples of those who would call Rundle Suites their home away from home. Are you planning a vacation that the whole family will enjoy, or find yourself in the area needing a place to stay? We know that the young ones can become bored easily, and you need a place that will keep them entertained without them having their nose glued to their smartphones or tablets. Have no fear! Rundle Suites will keep a smile on their face throughout your stay, and you might even find them leaving the technology in the hotel room! Not only will our hotel and its amenities keep them entertained, but we are within walking distance of all the fun local attractions! Are your children blossoming history fans, or would you like them to be? The Northeast Montana Children’s Museum is an ideal place for children to explore and learn all about the rich history of Glasgow. The museum contains many hands-on exhibits focused on areas such as culture, science, and creative arts. They’ll be able to learn while also having a good time! Are they not a fan of history? Give them a little scare with some ghost stories. Tell them that Sidney Rundle still roams the hallways at night! This isn’t true, but it will give them an exciting fright! For more opportunities for them to learn while also having a good time, check out the Fort Peck Interpretive Center. Here they will be greeted by a life-sized model of a T-Rex! You can also take them to Fort Peck Lake for some water activities. Or, if you’d like to keep things fun but simple, head on down to the El Cor Del Lanes Bowling Alley! Rundle Suites is a perfect hotel for any outdoor enthusiast to stay and enjoy the breathtaking area around Glasgow, especially during these warmer months! Not far away is the Fort Peck Dam and Lake. This is Montana’s largest body of water! Containing over 1,520 miles of shoreline, you can relax on the shore, or sail around enjoying the fresh air. Glacier National Park is not very far either for hiking, biking or all around outdoor fanatics! The winter time might be a little chilly, but Glasgow is absolutely beautiful in the spring and summer, and an ideal retreat to connect back with nature! Every year we have countless hunters come to stay at our hotel, and keep coming back for more year after year! There’s obviously a reason for this! It’s pretty common knowledge that basically all of Montana is a haven for hunters and fishermen, but Glasgow and the surrounding areas are often considered the best of the best. For fishermen, they have their options when it comes to where they would like to cast their line. From the Missouri River (which offers the rare opportunities to catch paddlefish, sauger, and trophy channel catfish), to the Fort Peck Dam and lake (which contains over 50 types of fish!) While there are never any promises when it comes to fishing, it’s almost a guarantee that you’ll hook something to be proud of. You won’t even have to fib about the size of it! For the hunter, Glasgow also offers a great opportunity to target a trophy. Northeast Montana offers the thrill of the hunt! Whether you’re a fan of pheasant hunting, mule deer, pronghorn, or looking to tag that elk, you’re certain to be satisfied. If you’re new to hunting, there are many places that host guided hunting trips, such as Burke Ranch Outfitters. Are you a fan of history? Do you lose yourself imagining the echoes of a time long gone? Do you hear the hoofbeats and carriage wheels as you walk along an old town road? Rundle Suites and Glasgow is the place for you. Glasgow offers an incredible history. The home of the Assiniboine people and Sioux Nation for centuries, you can still find remnants of their past in the lands. Later on, a group of two men traveled through the area(Lewis and Clark, they were kind of a big deal), and the entire area changed. 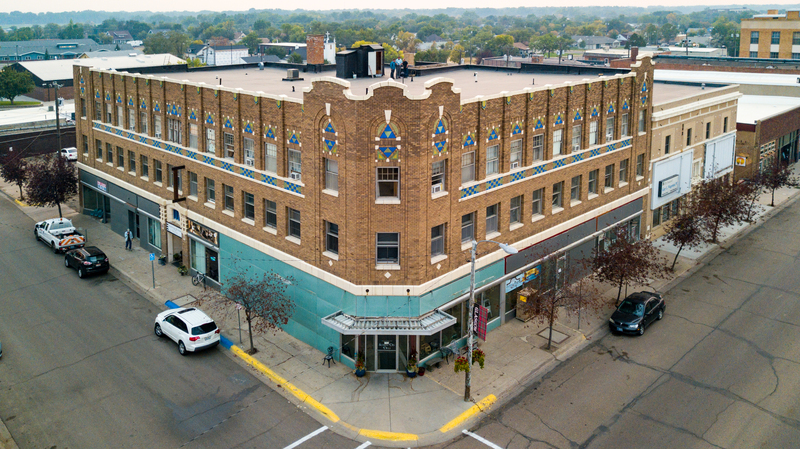 Not only does the town have an incredible history, but our building does too! In fact, we just recently celebrated the 100 year anniversary of the property. It was the first building in the area with electric lights, and housed the first elevator in the city! If you’d like to learn more, read our previous post that provided a brief history of Glasgow and Rundle Suites. Honestly, anyone will enjoy their stay with us! Whether you’re staying for one night, or plan on staying for a few weeks, we promise you will not be disappointed. With rooms ranging from studios with queen-sized beds, to rooms that can house the whole family, you’ll feel comfortable, relaxed, and at home. All of our rooms have been recently remodeled and renovated to provide you with maximum comfort! Enjoy your room, and then enjoy the lovely historic town of Glasgow! So, are you convinced? Rundle Suites and Glasgow, Montana, has something to offer for everyone! Freshly remodeled, clean, quiet, and in the center of the city, you’re one-night stay might just turn into an extended one. Whether you’re looking for an outdoor adventure, a walk through history, or just want to kick your feet up in one of our luxury hotel rooms, be sure to come visit! We’re dedicated to customer service and consider our tenants part of the family as soon as they check in. If you’re ready to have a truly memorable stay, be sure book online now, or contact us with any questions.